The Cherokee SouthWest Township (CSWT) is a non-political and non-profit Cherokee community founded in New Mexico in 1999 in response to the desire of Cherokee Nation citizens and their family members to explore their Cherokee heritage, to nurture their Cherokee roots, to learn more about Cherokee history and traditions, to keep abreast of Cherokee news and to participate more fully as citizens of the Cherokee Nation. All of this in a spirit of good Cherokee fellowship. As indicated in this image -- "the fire still burns." Members live outside the boundaries of the Cherokee Nation and bands. 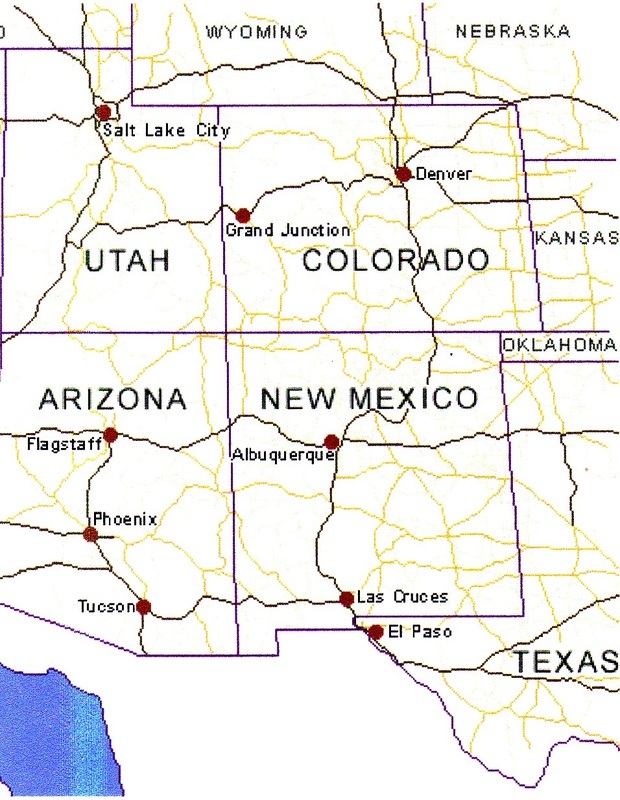 They are located mainly in New Mexico and the surrounding southwestern states of Arizona, Utah, Colorado and West Texas. However, CSWT has Cherokee members scattered in other states from North Carolina to Oregon. CSWT is a community of Cherokees, registered and unregistered, family and friends, dedicated to Cherokee history, culture, heritage, tradition and fellowship. The CSWT seeks to maintain a minimum of sixty percent (60 %) of its members as registered Cherokee Nation citizens. Those not Cherokee Nation citizens may join. The CSWT was the first satellite community chartered under the Cherokee Nation Community Association (CNCA) established by the Cherokee Nation Council in March 2008. These satellite communities provide a means for diasporic Cherokees living outside the historic boundary of the Cherokee Nation to expand and strengthen their ties to the Cherokee Nation and to deepen their understanding of Cherokee history, language, cultural traditions, civic activities and fellowship. Learn Cherokee history and traditions. Share Cherokee Fellowship and Cultural Experiences. Keep abreast of Cherokee news. Strengthen ties with the Cherokee Nation. ​Atsila Galvkawetiyu, the honored or sacred fire, the fire of the Tsalagi, was revered above all things. From time immemorial the Cherokees kept the sacred fire burning in their land. It also burns in their hearts today, wherever they may be. The seven clans of the Cherokee are symbolized in the seven sticks of wood. Seven is the number of totality or completeness. The inner circle represents an enclosure of protection and harmony, where all Cherokees, those who are members of the three federally recognized Cherokee entities, as well as those of Cherokee descent, non-registered, plus friends and families, have a place, a community, a township where they may come together with other Cherokees in good fellowship. The outer circle contains the name of the community, and written in the Cherokee syllabary, Squanijesdvi, the Cherokee word for New Mexico, the place of CSWT's founding and 1999, the year of founding. The outer rays, in the four cardinal directions, represent the sun, an important entity in Cherokee beliefs and symbols. This symbol is similar to that representing the State of New Mexico, where the CSWT orginated.